Long before TV game shows offering forth millions of dollars held a viewing public in sway, Paramount Pictures had figured out that big dough and "Average Joe’s" were a winning combination. A film studio known more for its European-flavored comedies and costume dramas than proletarian leanings, they were still canny enough to see that merging their sophisticated touch with a fantasy premise aimed squarely at the Depression era public (what if someone handed YOU a check for a million dollars?) seemed like solid gold. The result: 1932’s If I Had A Million, an early omnibus film that runs the gamut from side-splitting to heartbreaking while retaining the inimitable Paramount feel. There’s a little something for everyone here in the story of a dying millionaire (Richard Bennett) who doesn’t trust his greedy relatives to spend his fortune wisely. Opting to travel a more charitable route, he decides to pick eight names randomly out of the phone book and personally deliver the recipients a check for a million dollars. This sets the stage for eight different sketches, all showcasing the studio’s rather formidable roster of talent. Casting its net wide to include comedy, drama, crime and pathos, Million seems intent on packing every popular form of motion picture entertainment into its scant 88 minutes. "The China Shop" (directed by James Cruze) finds clumsy china shop employee Charles Ruggles worrying over the breakage clause in his check until his new millions render his stress (and caution) moot. "The Street walker" and "The Clerk" (both directed by Ernst Lubitsch) are equally brief episodes centering on a courtesan (Wynne Gibson) and a meek clerk (Charles Laughton) respectively enjoying their newfound empowerment. "The Forger" (directed by Stephen Roberts) puts a notorious check forger (George Raft), now possessing a genuine check for a million dollars, through the ultimate ironic paces. 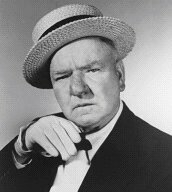 "The Auto" (directed by Norman Taurog), an enjoyable little "vehicle" for W.C. Fields, involves the cantankerous one buying a fleet of cars employed to turn road hogs off the road. "The Condemned Man" (directed by H. Bruce Humberstone) is a dark little tale of a bank robber (Gene Raymond) becoming rich minutes before he’s scheduled to be executed. "The Three Marines" (directed by Norman McLeod) has ne’er-do-well marines Gary Cooper, Jackie Oakie and Roscoe Cams in the unenviable position of receiving their check on April Fool’s Day. Their reluctance to believe the check isn’t a joke ends up costing them a fortune. The last episode, "Old Ladies’ Home", blends bittersweetness and comic revenge in the story of a rest home occupant who uses her million to turn a dour environment into a swinging club. Like many cinematic sampler plates, If I Had A Million varies in quality from vignette to vignette. Both the "Forger" and "Condemned Man" episodes seem like second-rate attempts at Warner Bros. grit (not helped by Warner star Raft’s by-the-book performance of his stock tough guy role). "The China Shop" is over just as it’s beginning to build up steam, and despite one of Gary Cooper’s most enjoyably lascivious performances, the "Marines" sketch seems like charming-but-fluffy filler. The film’s low points sometimes slow the comic and dramatic momentum down to a grinding near-halt. The highlights, however, all but make up for the unevenness of the production. The W.C. Fields episode stands up beautifully next to any of the comedian’s inspired short works, and the "Old Ladies’ Home" bit transcends the mawkishness of its story thanks to its giddy sense of fun. But it’s the two Lubitsch pieces that stand out as the film’s bona fide diamonds. The first one, "The Streetwalker" (scripted by then up-and-coming screenwriter Joseph L. Mankiewicz), finds the Viennese master treading his usual line of risque comedy and poignancy. Given the money to afford a top-notch hotel room, the title character buys a suite for the night and silently strips down to her underwear. Noticing two pillows, she throws the second one away and removes her stockings; tonight, for once, she plans on sleeping alone and without her silken armor. The second Lubitsch episode, "The Clerk", is a brief sketch involving Laughton’s clerk receiving his check, slowly walking through a myriad of doors to the company president’s office, and gives the boss a Bronx cheer raspberry. Short, sweet, and to the point, both vignettes are prime examples of how Lubitsch used so little to such great effect. His trademark use of innuendo and subtle visual gags are displayed here, proving why he was (and is) considered one of the greatest comic film directors in the medium’s history. His work in this up-and-down anthology is reason alone to give If I Had A Million a look. Historically, the film is interesting for a variety of reasons (i.e Paramount’s patented brand of glitz on display, the all-star cast, seeing where TV’s popular 1950’s series The Millionaire drew its inspiration), but it’s Fields and Lubitschs’ contributions that make the picture shine. Combined with the fact that Regis Philbin is nowhere to in sight, this Million more than justifies itself as a final answer for an evening’s viewing.